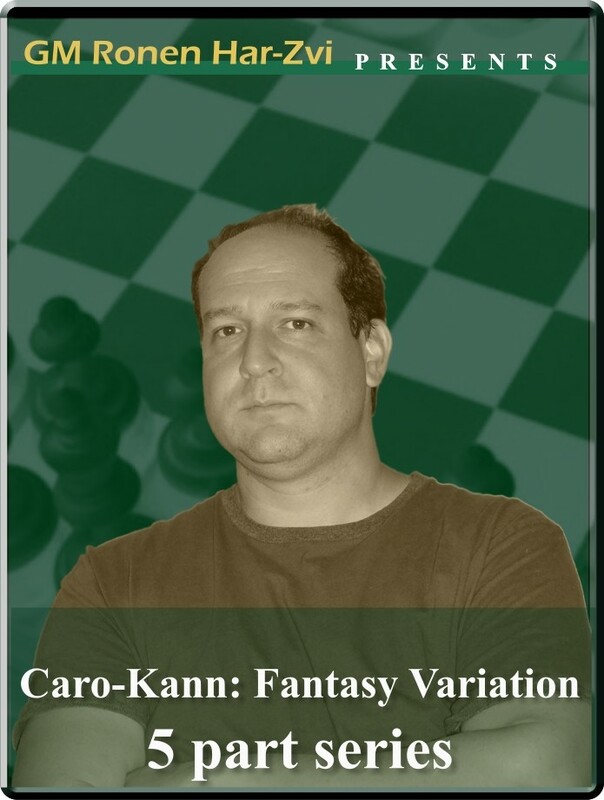 Ronen's Opening Survey: The Caveman Caro-Kann: Advance variation (7 part series). B12: Caro-Kann: advance variation 4.h4 h6 5.g4. Gone are the days when the Advance variation in the Caro-Kann (1 e4 c6 2 d4 d5 3 e5) was thought to be a poor cousin to the French Advance - now it is arguably one of White’s best ways to secure the advantage against the notoriously solid defense. And thanks to the likes of Nigel Short, Mickey Adams, Alexei Shirov and Peter Svidler et al., the White lines became so much more aggressive. These highly aggressive lines (with an early h4, g4 or Ne2) took a direct, almost bludgeoning approach to the game, so much so that it got coined as “The Caveman Caro-Kann: Advance variation.” And in a new series, GM Ronen Har-Zvi trends the developments in all the sharpest lines. Ronen's Opening Survey: The Caveman Caro-Kann: Advance variation (7 part series). B12: Caro-Kann: advance variation 4.h4 h6 5.g4. Gone are the days when the Advance variation in the Caro-Kann (1 e4 c6 2 d4 d5 3 e5) was thought to be a poor cousin to the French Advance - now it is arguably one of White’s best ways to secure the advantage against the notoriously solid defense. And thanks to the likes of Nigel Short, Mickey Adams, Alexei Shirov and Peter Svidler et al., the White lines became so much more aggressive. These highly aggressive lines (with an early h4, g4 or Ne2) took a direct, almost bludgeoning approach to the game, so much so that it got coined as “The Caveman Caro-Kann: Advance variation.” And in a new series, GM Ronen Har-Zvi trends the developments in all the sharpest lines.